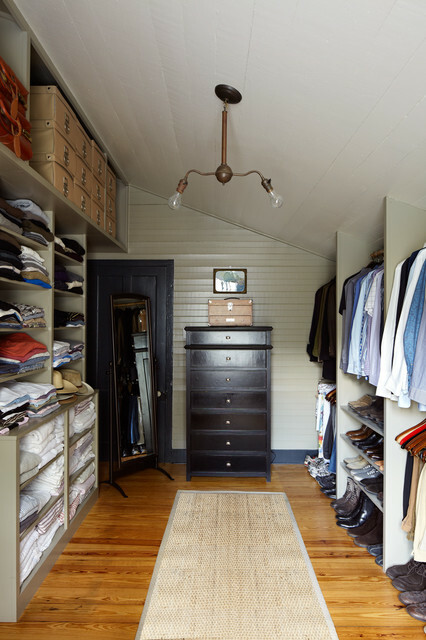 bedroom converted to closet. photo by Alec Hemer. Use deeper top shelves for luggage?